How to determine the date of production/manufacture or age of ICP® HVAC Systems. 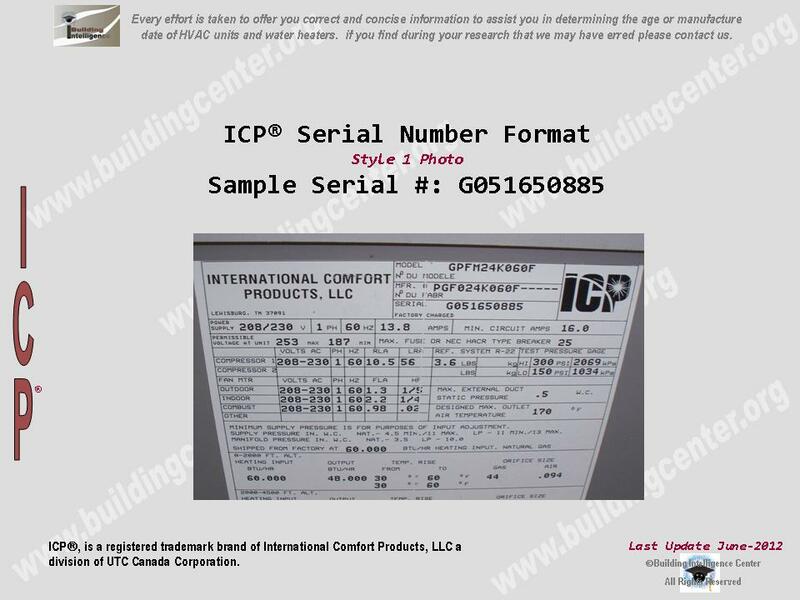 The date of production/manufacture or age of ICP® HVAC equipment can be determined from the serial number located on the data plate. 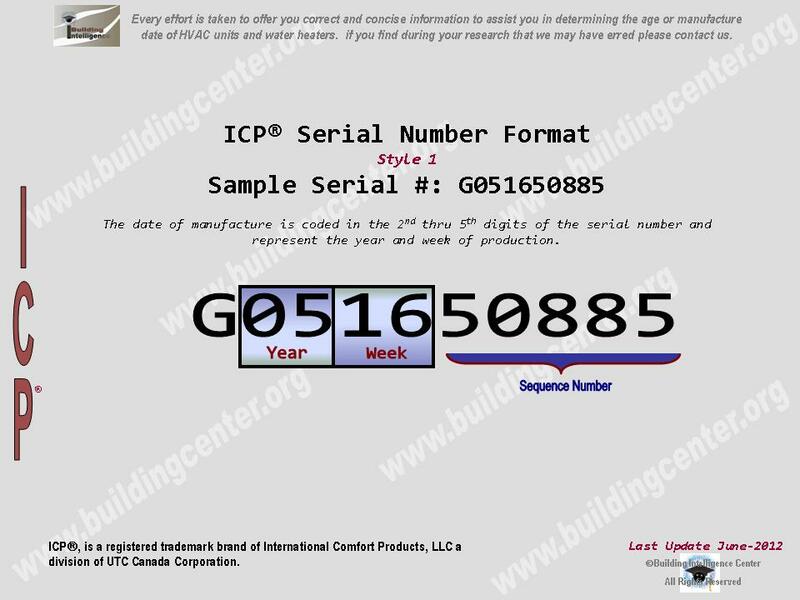 Parent Company: ICP is a part of Carrier Corporation, a unit of United Technologies Corp.
Week of manufacture can be determined by using the 4th & 5th numerical digits.